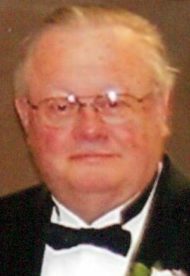 Richard E. Dale, 79, of Warwick Twp., passed away on Sunday, January 20, 2019, at Hospice & Community Care, Mount Joy, with his family at his side. Born in Lancaster, he was the son of the late William E. Dale and the late Helen F. (Muschert) Dale-March. Richard was the loving husband of the late Jean L. (Miley) Dale and together they shared 43 years of marriage at the time of her passing in 2009. Richard was a 1958 graduate of Penn Manor High School. He honorably served his country with the US. Army from 1958-1962. Following his discharge from the military, he worked in the Color Production and Plating Room for the RCA Corporation from 1964-1987, and later for Burle Industries, from where he retired in October, 2004, after 17 years of service. Richard loved going to car shows, and enjoyed going out to eat, model trains, playing bingo, shopping, gardening, and going to “The Buck”. He also enjoyed visiting shore points, Florida resorts and casinos. He was a life member of the Lititz Springs VFW Post 1463, and a former member of Abbeyville Road Christian Church, Lancaster. Richard is survived by his daughter, Tammy Jumbelick and her husband Bruce of Denver; a daughter-in-law, Lori A. Dale Greenly, and his granddaughter Abigail Rose Dale of East Petersburg. Also surviving are two sisters, Carol A. Bippus of Appomattox, VA, and Susan E. Bambrick of Lancaster; a brother-in-law, Harry Miley of Mount Joy; a cousin, Nelson Schlegelmilch of Ephrata; many close friends; and his feline companion, Willow. In addition to his parents and wife, Richard was predeceased by his son, Paul R. Dale, who passed in February, 2017. Funeral services will be held on Thursday, January 24th at 11:00 am at the Charles F. Snyder Jr. Funeral Home and Crematory, 3110 Lititz Pike, Lititz, PA 17543, where a viewing will take place from 10:00 am until the time of service. Interment will follow at Conestoga Memorial Park. In lieu of flowers memorial contributions in Richard’s memory may be made to the Humane League of Lancaster County, 2195 Lincoln Highway E, Lancaster, PA 17602, or to the American Cancer Society, 314 Good Drive, Lancaster, PA 17603. My Condolences to All of the Dale Family! I am certain that Richard has joined his Wife and Son and is now without pain or worry! His Memories will live on through all of you, and his Beautiful Granddaughter, Abby!! !